This new reputation will be available with Agents of Yesterday’s release and will feature all new traits, kit modules, space equipment sets and a ground equipment set. 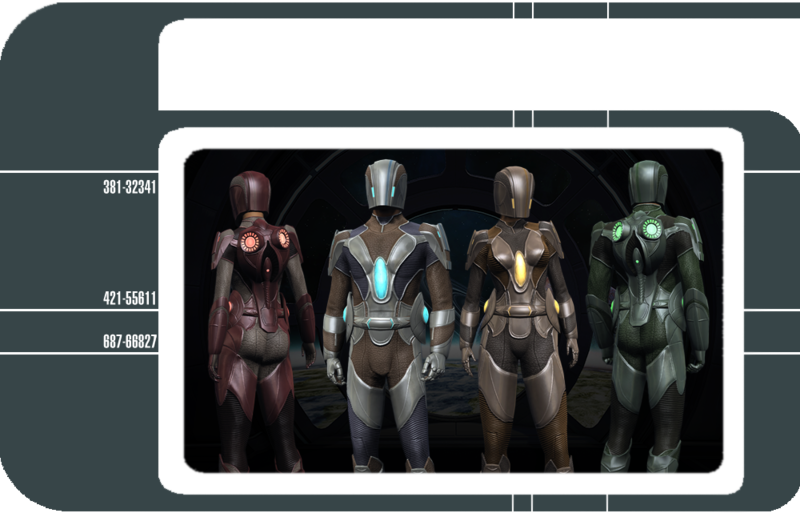 Submitting Temporal Marks will increase your standing with the Temporal Defense Initiative. These can be earned by participating in the Days of Doom and The Battle of Procyon V queues, as well as the Badlands Battlezone. Each source of marks allows for scaling rewards, increasing the number of Temporal Marks received by performing above expectations or completing bonus objectives. Chroniton Buffers can be earned by participating in the Advanced and Elite versions of queues which reward Temporal Marks, as well as completing significant events within the Badlands Battlezone. 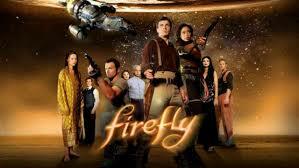 Chroniton Buffers are used by a number of time-traveling cultures in the galaxy. They shield their users from unstable Chroniton emissions and fluctuations, both in and out of the time-stream. High-end gear projects will require a small number of Chroniton Buffers to claim the best equipment the Temporal Defense Initiative has to offer. The Temporal Defense Initiative will also exchange Chroniton Buffers for Dilithium Ore.
Matter / Antimatter Core: Temporal Defense Initiative Warp Cores are designed to overcharge auxiliary power levels, increasing a ship’s maximum Auxiliary power. The warp core also shunts a portion of its Auxiliary subsystem power into weapons, increasing the energy weapons output of ships. This warp core is authorized to use a higher warp factor when in sector space, as Temporal Operatives are required to rapidly travel to different locations and points in time. Singularity Core: Temporal Defense Initiative Overcharged Singularity Cores are designed to overcharge auxiliary power levels, increasing a ship’s maximum Auxiliary power. The singularity core’s charge mechanisms are intentionally overclocked to allow for rapid deployment of Singularity Powers. This core is authorized to use a higher warp factor when in sector space, as Temporal Operatives are required to rapidly travel to different locations and points in time. Chroniton Drive Actuators harness residual Chronitons found around temporal incursions to enhance a ship’s power levels. Additionally, the console increases a ship’s maximum shield capacity and control expertise, to better defend against said hostile incursions. Advanced Temporal Defense Chroniton Torpedos are designed to leave a matrix of Chroniton particles on the firing ship, which can increase the user’s flight speed, turn rate, shield hardness, and shaves precious time off the recharge rate of bridge officer abilities. This weapon’s High Yield mode fires a cluster torpedo at the target, which deploys into a series of Chroniton Mines on arriving at its destination. Beam Array: Advanced Temporal Defense Chroniton Beam Arrays are designed to leave a matrix of Chroniton particles on the firing ship, which can increase the user’s flight speed, turn rate, shield hardness, and shaves precious time off the recharge rate of bridge officer abilities. Dual Heavy Cannons: Advanced Temporal Defense Chroniton Dual heavy Cannons are designed to leave a matrix of Chroniton particles on the firing ship, which can increase the user’s flight speed, turn rate, shield hardness, and shaves precious time off the recharge rate of bridge officer abilities. Advanced Temporal Defense Chroniton Dual Pistols are considered the pinnacle of miniaturization. Capable of firing faster and further than standard pistols, these paired pistols quickly build a Chroniton Charge when fired. This charge reaches a critical mass at 7 stacks, overloading the weapon’s Dual Compression Bolt secondary fire into Hyper-Compression Bolts, and allowing for a Dual Energy Blast tertiary weapon fire. Advancing through the tiers of the Temporal Defense Initiative Reputation will also unlock access to a large variety of Temporal Defense Chroniton energy weapons, Temporal Defense Chroniton Torpedo launchers, and 3 new Kit Modules. Bio-Harmonic Emitter deploys a Bio-Harmonic layer around your team. This layer provides additional protection against incoming attacks while healing affected targets. Anti-Time Entanglement Field creates a localized Anti-Time distortion around the target, damaging and slowing enemies within its radius. The field rapidly shrinks in size until it completely dissipates. Anti-Time Entanglement Singularity creates an Anti-Time anomaly in the target’s immediate vicinity. The singularity causes severe Physical damage to foes caught within while slowing and potentially locking them in place as normal space-time violently interacts with the anomaly. This singularity rapidly shrinks in size until it fully dissipates. This brand-new reputation will be available with the launch of Agents of Yesterday, and will be available for testing on Tribble soon. We look forward to seeing players make the most out of these reputation rewards. See you in-game! to our standard ship material template. 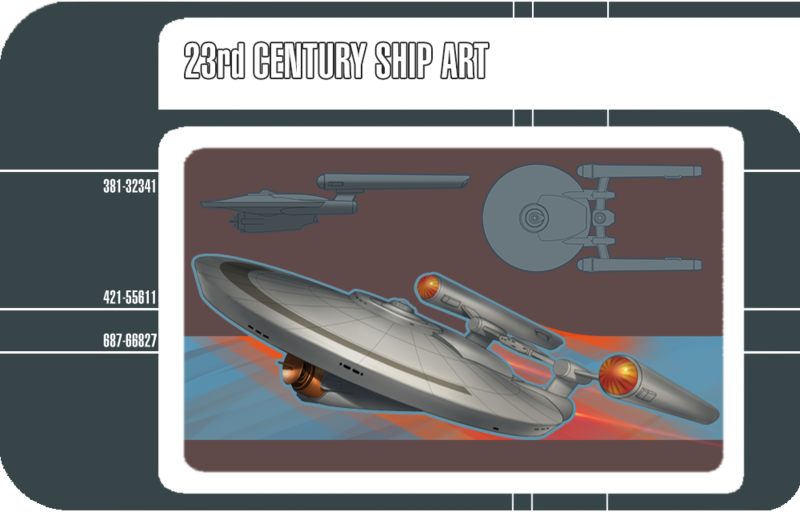 Mapping things appropriately was a challenge, but by using our standard ship material template we could ensure that the new 23rd century ships would be compatible with our existing shield overlays and federation ship materials. It will be interesting to see the actual temporal defense stats actually are . I like these ship designs. Most of the STO ship designs leave me a bit cold - I'm not much of a car person so one lot of streamlining tends to look as good as another to me - but as well as being very TOS these have got a real NASA look about them. Especially the Daedalus which reminds me of space stations like Mir with those round and cylindrical "modules" connected together - of course, Mir wasn't NASA but you know what I mean! I made a model of Mir when I was little out of a picture in a book, out of just those kind of bits! Just been looking up that picture of Mir and was startled by how much the control room looked like the Enterprise. I'm so used now to looking at Star Trek's scenery and thinking "That's a Star Trek spaceship", I tend to forget that as well as being "a science-fiction design" it was actually meant to be simply a view of the inside of a spaceship - a real spaceship! The TOS ships were always my favorite. They were all built using piratical effects (no CGI!). And they just seemed so much more real to me. Like if we were able to go out into space tomorrow these would be the ships we would be using.